On the 29th April 2017, we arrived in Christchurch. 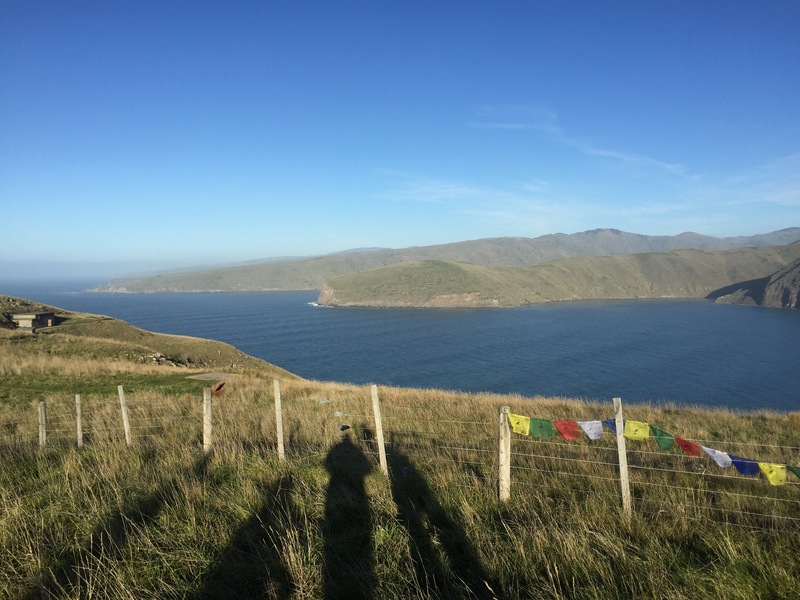 This would be our last destination in New Zealand and it would also be where we would spend the longest amount of time in one place. Niall’s sister, Sophie, has lived in Christchurch for over a year now and we would be staying with her during our time here. We were picked up by Sophie and her boyfriend Dan and went to lunch at a place called Dux. It did really nice food and it was so lovely to all be back together again – especially as this would likely be the last time we would see Sophie for a while. Sophie and Dan then showed us around the city a bit before we headed back to Sophie’s house to get settled in. It was really interesting to see that the damage from the earthquake a couple of years before was still present with some buildings looking like they hadn’t been touched since they fell down! 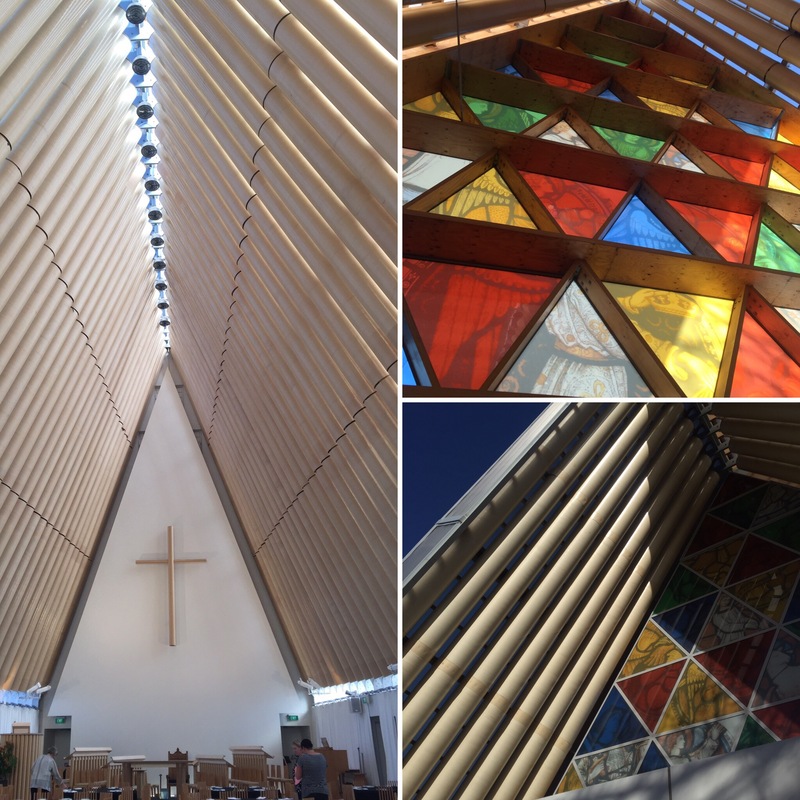 There was a cardboard church which was built to replace the old church that had to be condemned after the earthquake due to structural damage. The church is made using giant tubes of cardboard – a lot more durable than what you would have at home – as the structural support (along with wooden beams) and then thick plastic boards have been used as the walls and roof. It’s a clever idea but definitely doesn’t give the feeling of being in a church – maybe just because it’s so vast but so empty and modern looking. We also went to the earthquake memorial for those that died. The memorial was so clever. It was around a dozen rows of white chairs all in different sizes and styles from baby’s high chairs to comfy arm chairs. The family members of the people who died chose a chair that they thought represented their loved one and this was the chair that was on display. You were able to walk between the chairs and were allowed to sit in the chairs if you wanted to – I chose not to. There was then a board with a list of the people who had died as well as poems and other words of remembrance. 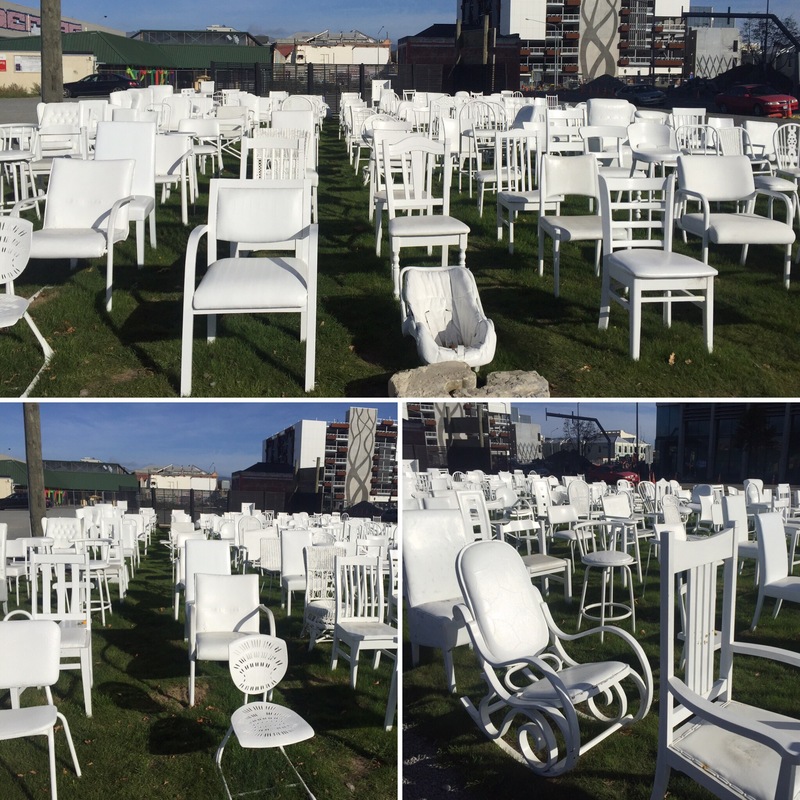 It really did show the magnitude of the earthquake and was sad to think that all of those family’s had an empty chair in their house where that person would have sat. 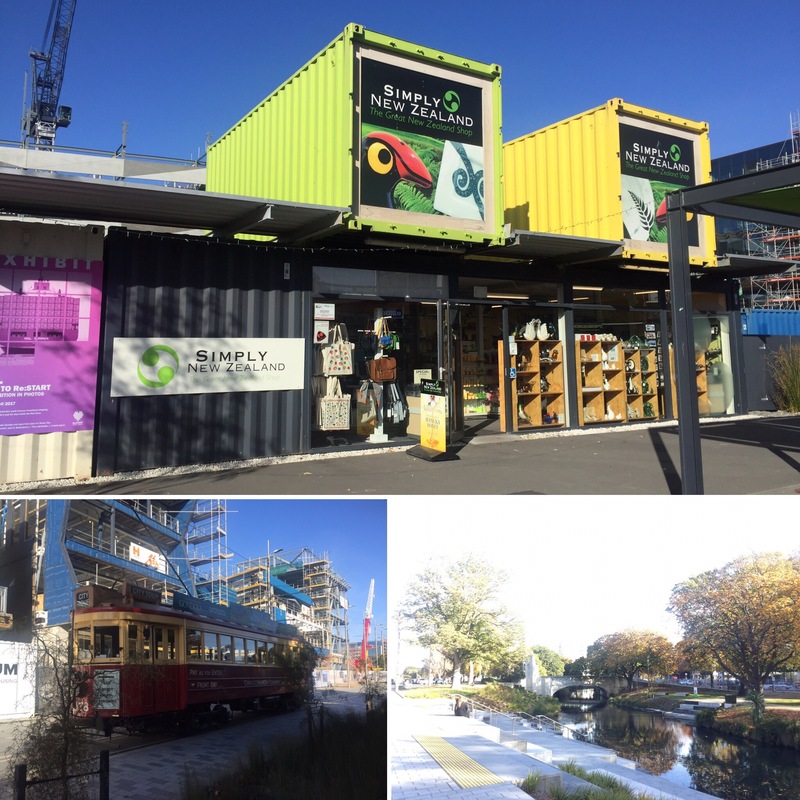 We then walked through the ‘restart mall‘ which is made out of storage containers and was set up after their shopping mall received structural damage from the earthquake. I thought it was really cool to walk through and the shops themselves be the containers with glass walls and displays. It was a really clever idea and the shops all seemed to sell nice things as well as some being cafés and food stalls. Sophie then took us further out of the city to Sumner which was near the coast and gave you beautiful views of the nearby coastline. It was interesting having the houses on the hills on the way to Sumner pointed out to us as a few of them have been abandoned since the earthquake due to the risk of land slides on their houses – I can’t imagine how devastating that would be. That night we played beer pong (Sophie’s boyfriend Dan is so good at it!) and then went out for a meal at a place called Spice Paragon before going on a night out. It was so lovely to be reunited with Sophie and we were looking forward to the rest of our time here. 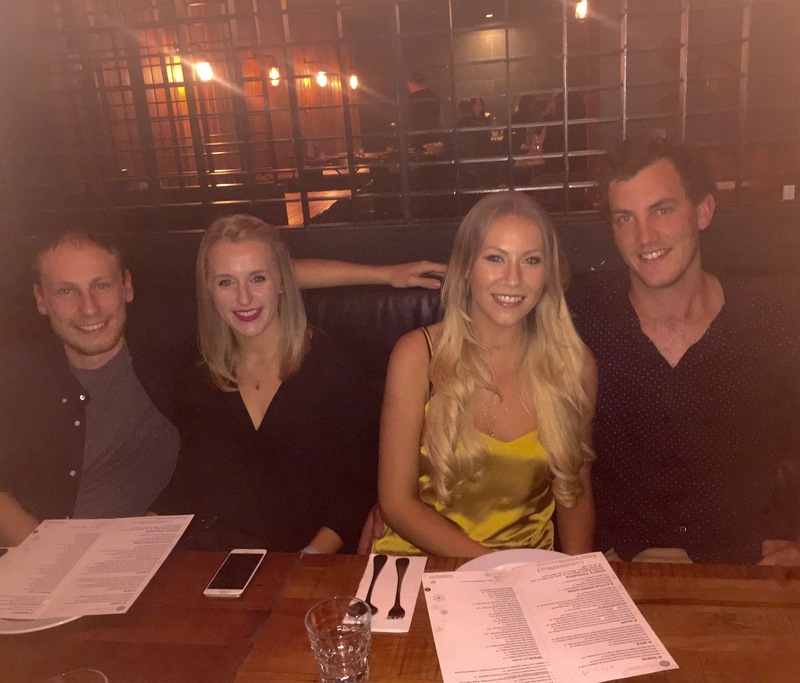 We spent the next few days relaxing, catching up on sleep after a very hectic month and just spending some quality time with Sophie, Dan and her housemates Nicky and Will. 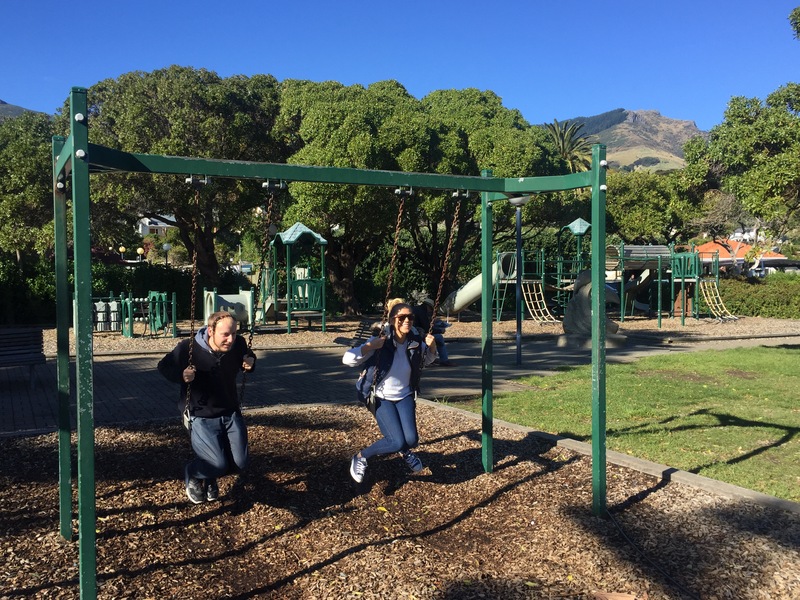 On Tuesday 2nd May, Sophie had the day off work so took us to Akaroa which is around an hour and a half from Christchurch. It’s a really cute little coastal town with a beautiful backdrop of the mountains. We had a wander around, bought some fudge from a little shop in the village and then headed to a restaurant on the waters edge for some milkshakes and a bite to eat. It was a lovely sunny day and the water was really calm so it was perfect to just sit and catch up looking out at the boats on the bay. 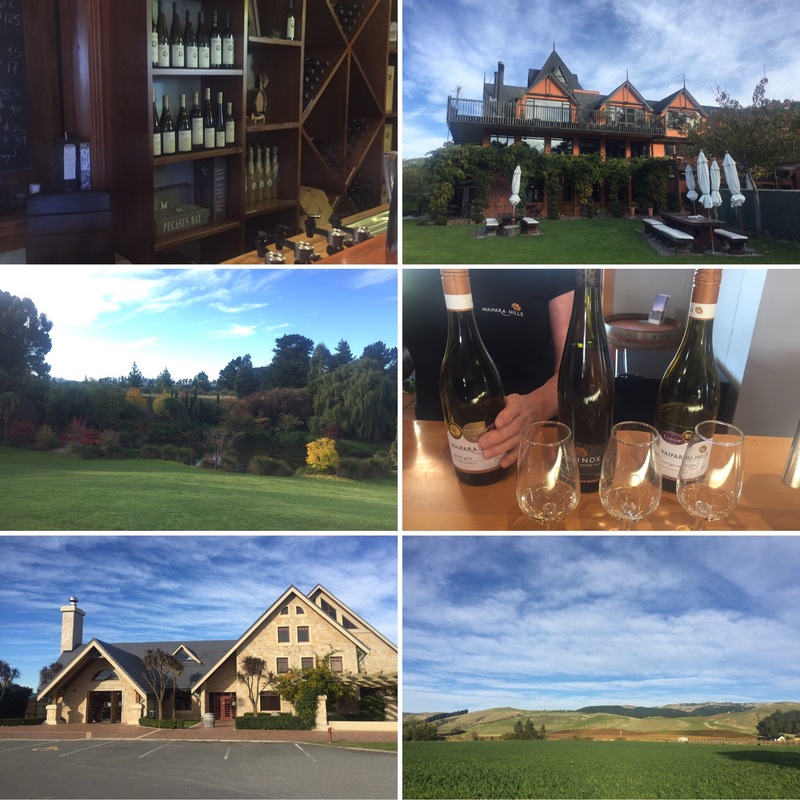 After lunch Sophie took us around some of her favourite wineries in the Waipara Wine Valley. We went to three different wineries that all gave us a different variety of wines to try and the most surprising thing for us what that it was for free! Everywhere we had been previously for wine tastings has charged for the tasting so it made it even better! It was interesting seeing each winery take on a different approach with their tasting and, whilst it confirmed we don’t like red wine, we both learnt of the white wines we preferred which I think is always handy for when we need to be adults when we’re home and drink wine at events etc. It was also interesting learning that even the same type of wine will taste different depending on what vineyard made it. 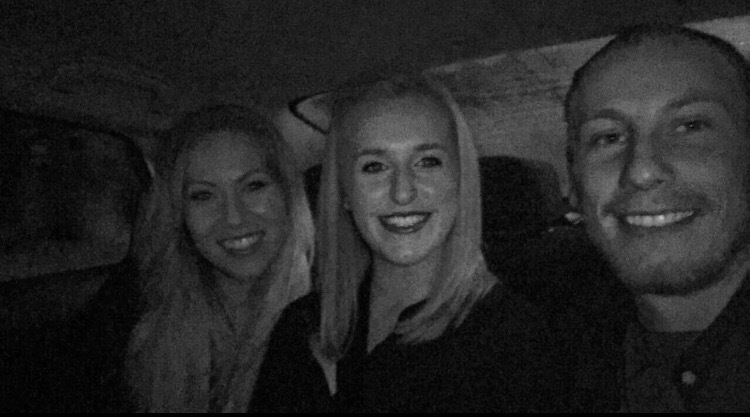 We really enjoyed going to the different vineyards and were grateful for Sophie being the designated driver so that we were able to try as many as we could in each place. That night we went for a burger and some pool which was really nice. I wasn’t as terrible as I normally am and Dan hustled all of us by being infinitely better than he had let on! It was good to play even if Niall did have to do the majority of the work for our side! 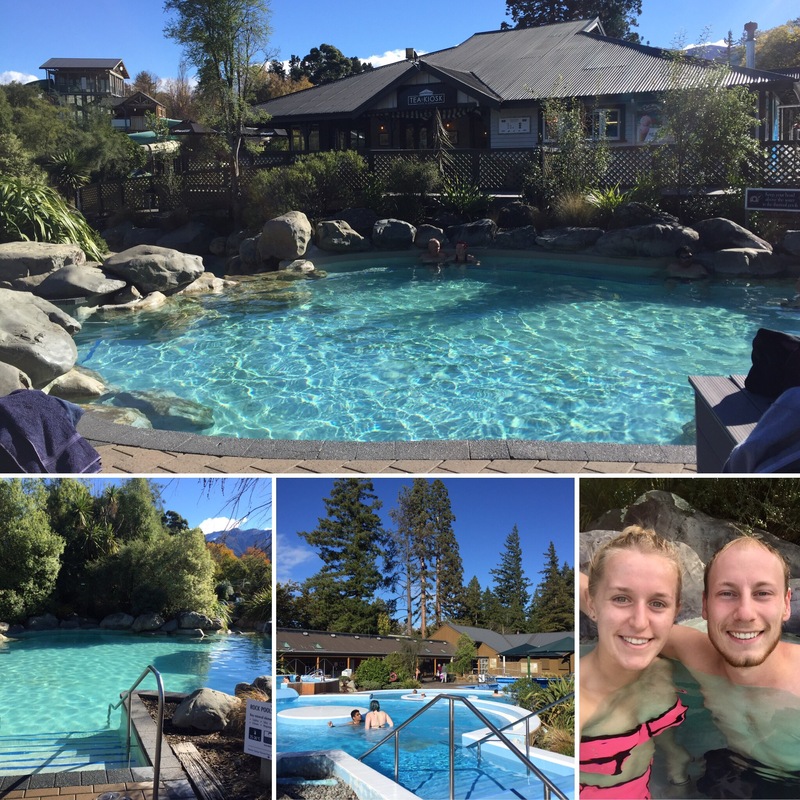 On the 4th May we got up early and went to Hamner Springs. This is the main geothermal area in the South Island. The springs is a giant outdoor area with a number of different pools of different sizes and water temperatures that are all heated by the natural geothermal activity in the area. The hottest of the pools was 42 degrees with the majority of them being around 30 degrees. There were also hot pools that had jets and a set of slides and a lazy river for children. It was really nice to relax and alternate our time in the different pools and, seeing as we hadn’t exploited the hot springs in previous locations, I’m really glad we got to enjoy this one – not to mention, the setting was incredible with loads of mountains in the background. We got back to Sophie’s to Dan making us tea of crayfish for starter and groper fish in a Thai curry for our main. 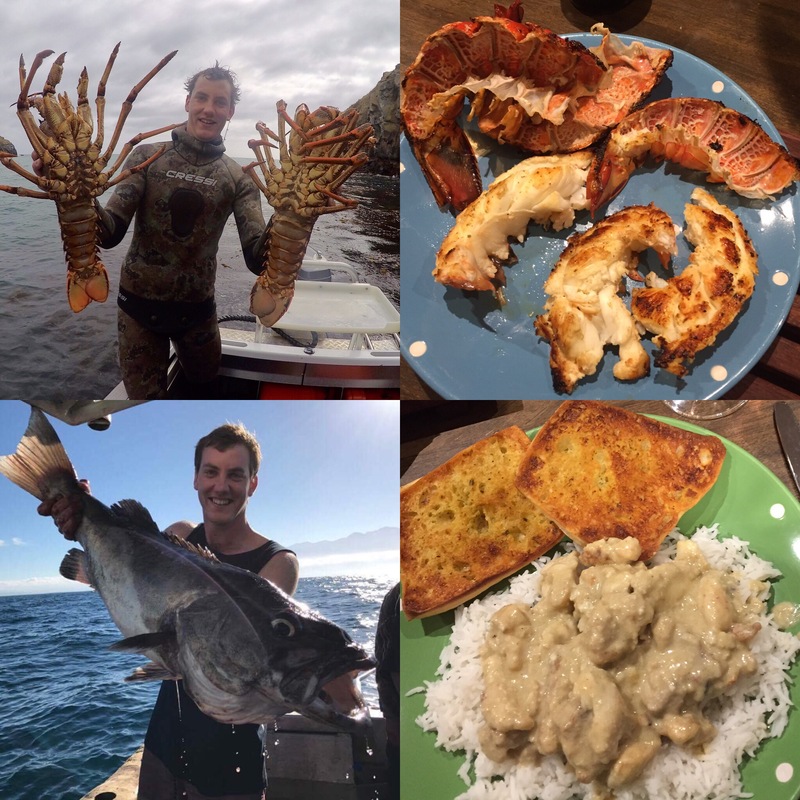 The best bit about this meal was that Dan had caught the groper and crayfish himself! Groper is a white fish which he fried before adding it to the curry and I had never had crayfish before but it was lovely with the garlic butter he put on it. We had already learnt that Dan was a very good cook as Niall had had some venison (which he had shot himself – a true kiwi!) and had loved it. All of the food was really nice and it was a great meal to end such a nice day. 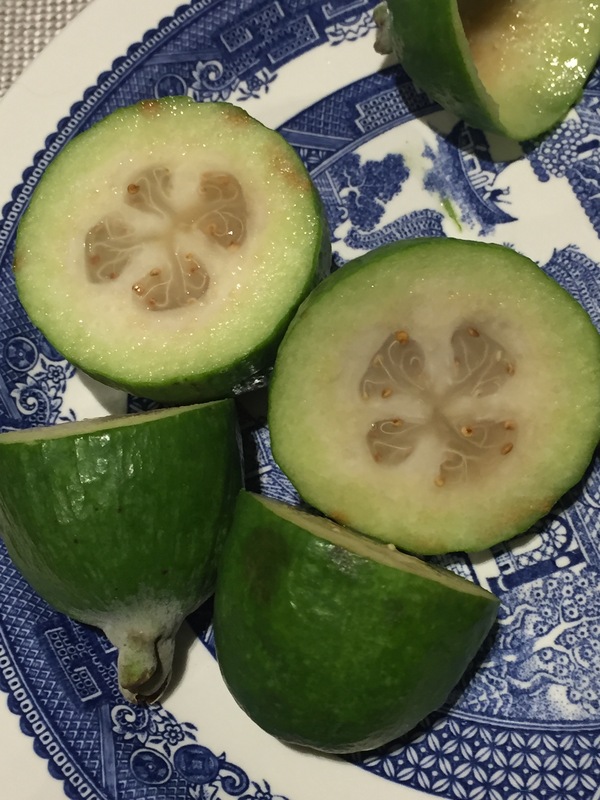 We were also introduced to a popular fruit in New Zealand called a Feijoa. This is a small green fruit that you eat in the same way as a kiwi fruit. We couldn’t really decide if we liked it or not but it was cool to try seeing as we hadn’t seen it before. On our last full day in Christchurch we had a lot of packing to do so it was a pretty chilled day. That evening we all went bowling with some of Sophie’s friends, Marlou, Nicola and Kim. 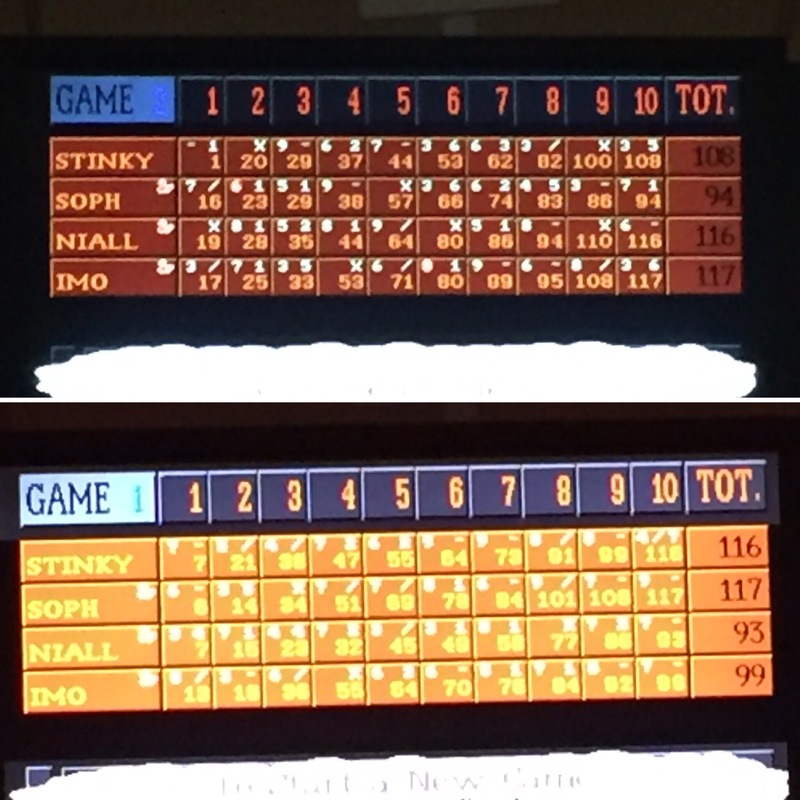 Niall and Sophie’s sibling rivalry was once again in full flow. Sophie won the first game and, miraculously, I won the second! We also played some air hockey which was really funny as we were all way to aggressive with the hockey pic meaning it flew off the table a number of times! 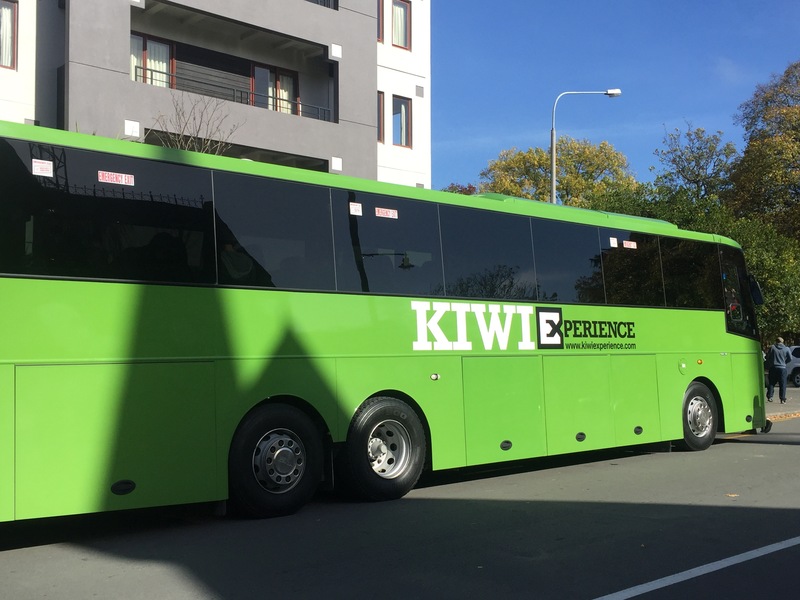 We had an amazing time in Christchurch and it probably rates as one of the highlights of our trip. Sophie made sure we had a great time and it was so lovely to spend time relaxing in a nice house after all of the hostels and travelling we had been doing. Christchurch and it’s surrounding areas definitely has a lot more than it’s given credit for and I’m really glad we were able to get a chance to see all of that for ourselves.